This course will provide opportunities to work in a health care setting, assisting residents with social needs under the supervision of a social worker. After completing the course, you will be able to work as Social Service Assistant in a Long Term Care setting. This course will discuss the philosophy of long term care, the settings in which a Social Services Assistant works and the demographics of the people they serve. You will learn the aging process and understand the role and function of this position. Demonstrate a basic knowledge of the aging process, including misconceptions, physical changes and psychosocial aspects. Demonstrate knowledge of applicable state and federal regulations. Show understanding of the rights of individuals who reside in long-term care facilities. Demonstrate knowledge of the admission and discharge process. Demonstrate an understanding of the principles of documentation. Demonstrate ability in basic performance skills, such as teamwork, communication skills and working with administrative staff and other disciplines. Discuss issues involved in the management of internal support staff, budgeting, supplies, and outside resources. Show understanding of methods of identifying resident interests and needs and the use of assessment in care plan development. Evaluate a care plan for effectiveness. 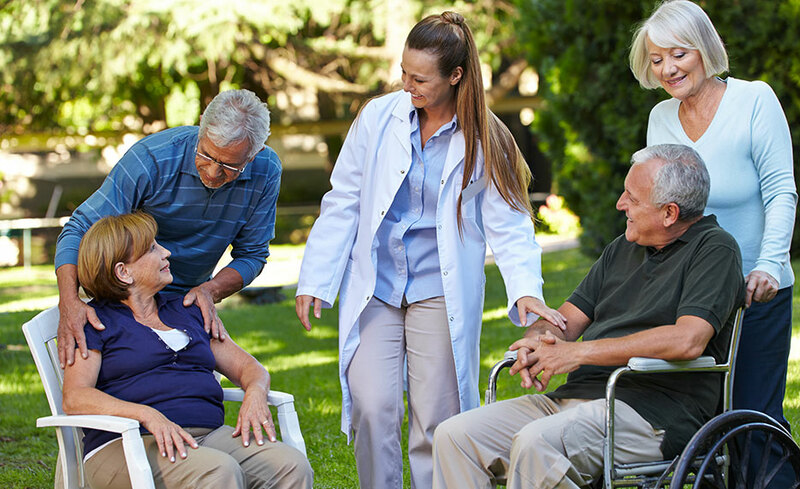 The professional opportunities to care for the growing number of people who will use the supportive assistance offered in day treatment, assisted living, and long-term care settings are expanding faster than professionals can be trained. These positions can be rewarding, challenging, and fulfilling. Social Service Assistants are members of interdisciplinary health care teams within the LTC facility. They work under the supervision of licensed social workers and other staff who have more education and experience, and assist these professionals with their daily tasks. They often conduct admission interviews, inform residents and their families of their rights, advocate for residents with social services organizations, help residents to adjust to living in the facility and coordinate care services. Coordinating care services may involve ensuring that Medicare and other billing issues are appropriately handled, informing mental health and medical staff if residents require services and scheduling medical and other appointments for residents. Instructors will cover content that includes professionalism, documentation and ethics, social service related regulations, admission process, assessment documentation, MDS/RAPS, care planning, resident rights, abuse prevention, survey and survey process, discharge planning, effects of aging, disease processes, end of life pain process. Students who complete this training will be ready to work in the following states WA, CA, ID, WY, NM, ND, KS, OK, TX, MN, MO, WI, TN, AL, OH, WV, NH, FL. Additional training and/or licensing may be required in other states. B. Code of Ethics of the National Association of Social Workers and other ethical issues. A. The social services assistant and the rest of the team. N. Prepare for additional "nuts and bolts" issues involved in working as a Social Services Assistant. Students should be familiar with using a personal computer, mouse, and keyboard. They should be comfortable in an internet environment, and have the ability to launch and close activities and navigate to multiple websites. A valid email address is required for communication. Cindy Gray has worked in the healthcare field since 1999. She began her career as a CNA, then completed her LPN, and continued with an ADN degree. She functioned as a Long Term Care charge nurse, Inpatient Rehabilitation nurse, MDS Coordinator, and Director of Nursing. This program is knowledge based course. There is not a certification available.